The United States Immigration and Citizenship Services (USCIS) has recently announced a major change in the process of issuing the much coveted H-1B Visas, there’s a reversal in the way the lottery will be conducted the change is with the order of lottery being conducted, under the new system Regular Cap will be conducted first & then the Masters Cap, this effectively means those with a Masters or Higher Degree from a University in the USA will technically a second chance and will increase the probability of obtaining the H1-B, this also means those with a Masters or Higher degree in the USA will be more prominently represented in the US workforce. In the current system Masters Cap is first conducted & those not selected are placed in a regular pool for a random selection. 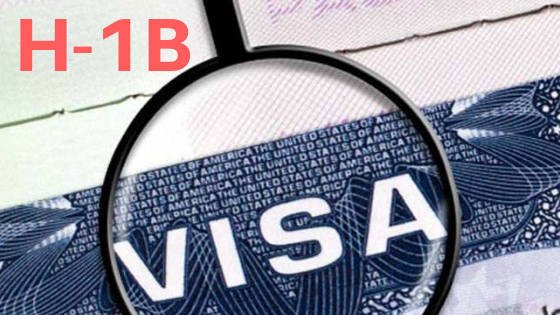 This can be seen as a boon for students studying / wanting to study in the US since it will give the prospective students a big advantage in securing the H1-B as well as give them 2 chances. The total cap is still at 85,000 which includes 20,000 for Masters Cap & 65,000 for Regular Cap. Let’s say Mark holds a Masters Degree from a US University & applies for the H1-B he will now be going through the regular pool & if he doesn’t make the cut, he can look at the Masters Cap which will naturally have a lower number of applicants. In addition to the above change USCIS also has proposed the employers to register online before submitting the applications & full submission only if selected in the lottery.